In April 2012 I went back there with my camera to capture the past, but where was it….? The video shows me in the studio working on drawings for the upcoming blood/MarcyAV exhibition and talking about the inspiration for the show. blood/MarcyAV is me visual artist Michele Marcoux, sound artist Lynne Thermann and poet Sheila Black and explores the nostalgia but also the pain of youth, and the implicit as well as explicit violence of life in the city, especially for women. 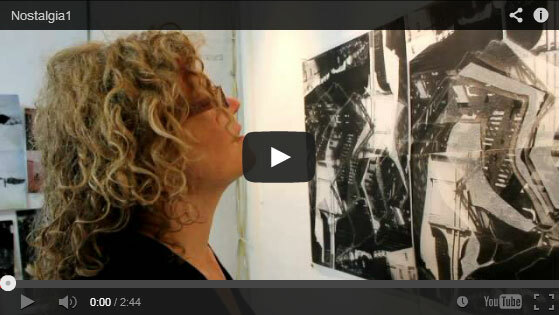 The show features painting/drawing, moving image, sound and text. This entry was posted on Monday, October 21st, 2013 at 3:11 pm. It is filed under Blog. You can follow any responses to this entry through the RSS 2.0 feed.